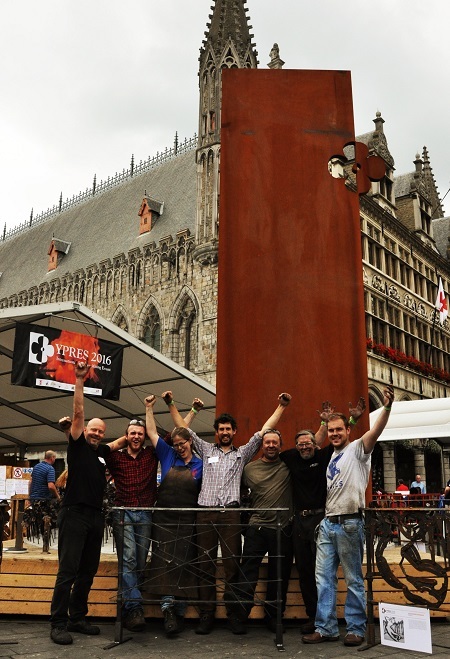 The Ypres international blacksmith event happened last month where Will represented Australia as a master blacksmith. This coming together of hundreds of blacksmiths from around the world for a 6 day festival in memory of all the lives lost during WW1. for more information go to the Ypres2016 website. A lot of thanks must go to the Artist Blacksmith association of NSW, Gameco Artisan supplies and the many many community members who supported Will for this event.